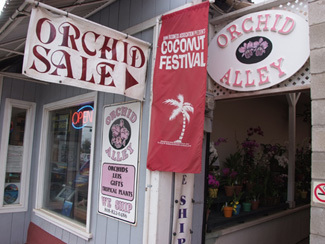 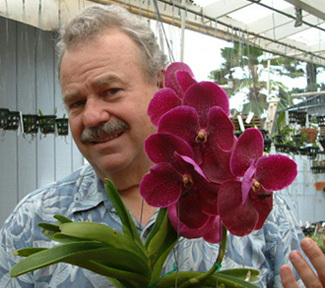 Founded in 1996 under two small umbrellas pitched in an alleyway in downtown Kapaa, Kauai Orchid Alley Kauai now delivers over 1000+ square feet of orchid viewing and retail enjoyment. 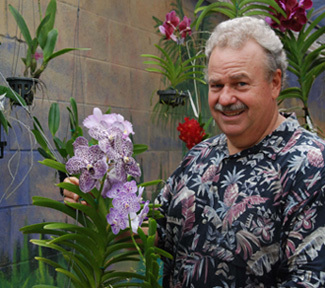 Offering hundreds of orchid species and hybrid varieties, owners Neill and Fely Sams earned Best In Show awards twice this year and their most recent hybrid, Mr. Nishio, "…Nice Vanda" just received a highly commended certificate from the American Orchid Society. 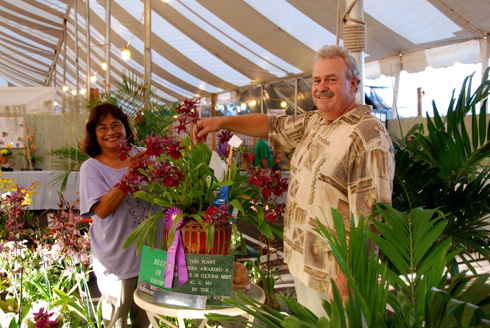 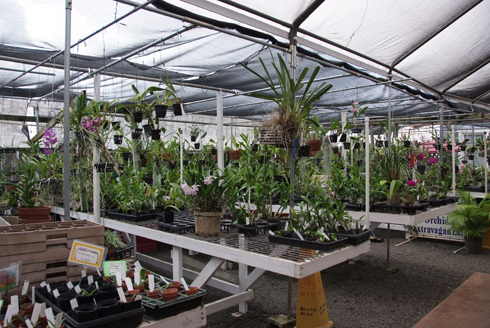 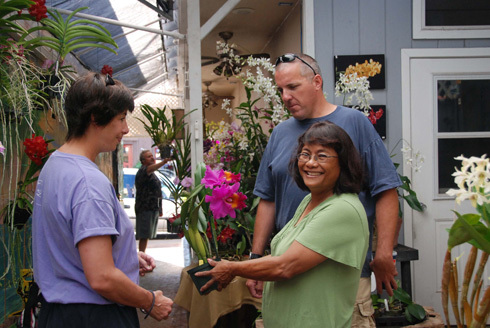 As a certified nursery, Orchid Alley Kauai ships live orchid plants and blooming orchid gift baskets to the mainland. 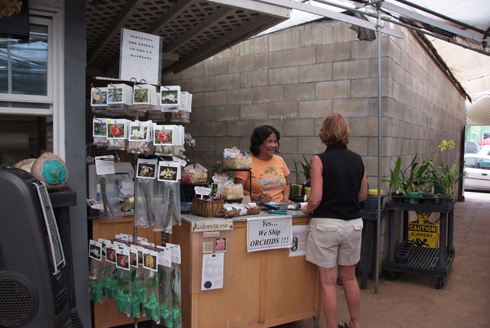 Now offering flat rate, 2 day air to 49 U.S. states and easy airplane carry on packing services, this long time Kapaa town native also offers a Kama'aina Club Discount Program. 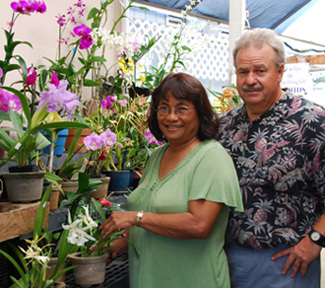 Orchid Alley is certified by the Hawaii Department of Agriculture (DOA) to ship orchid plants in 49 US States. 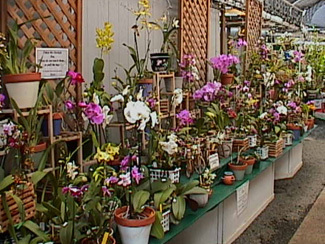 Orchid Alley specializes in shipping orchids in full bloom & packing for hand carry. 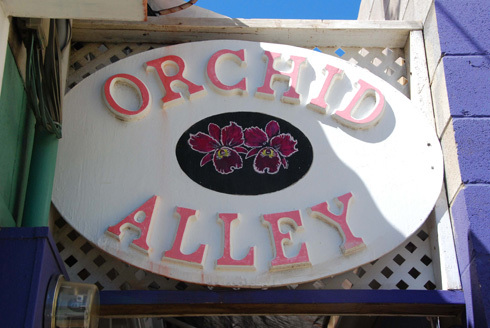 Billed by many of Kauai's' travel magazines as "One of Kauai's hidden treasures", Orchid Alley is a unique must see when visiting Kauai. 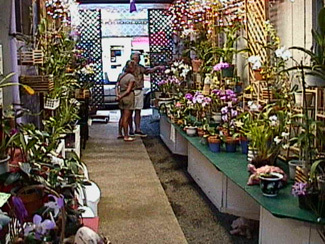 Our products include: Orchid gifts, blooming & non blooming orchids, tropical plants & leis, Orchid gift baskets & orchid supplies. 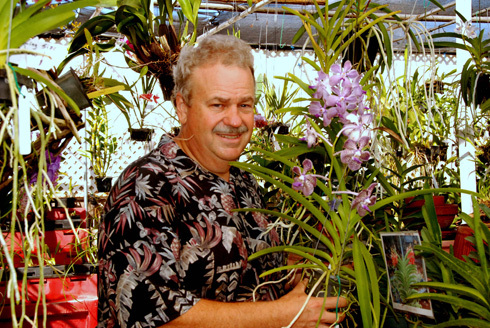 And as always please remember "Orchids are the perfect living gift".